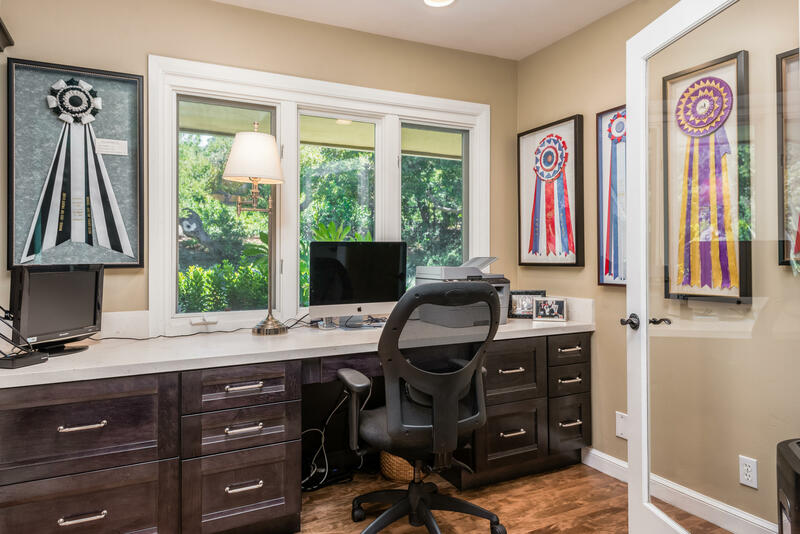 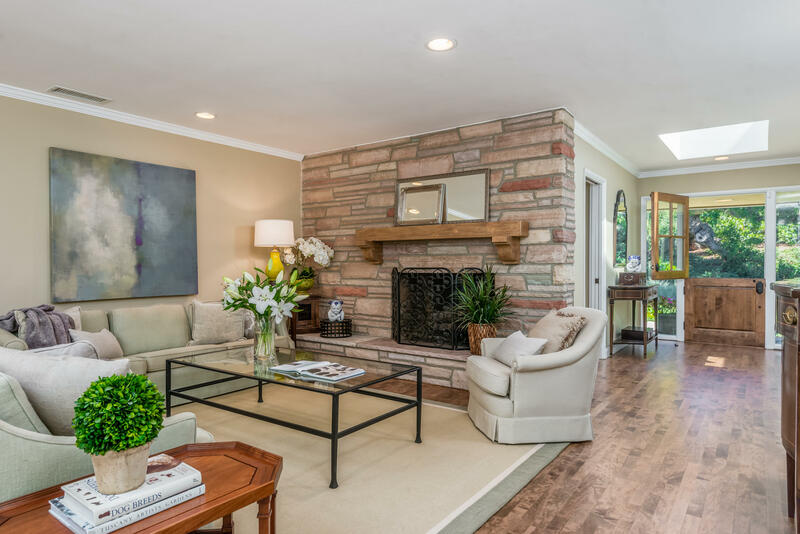 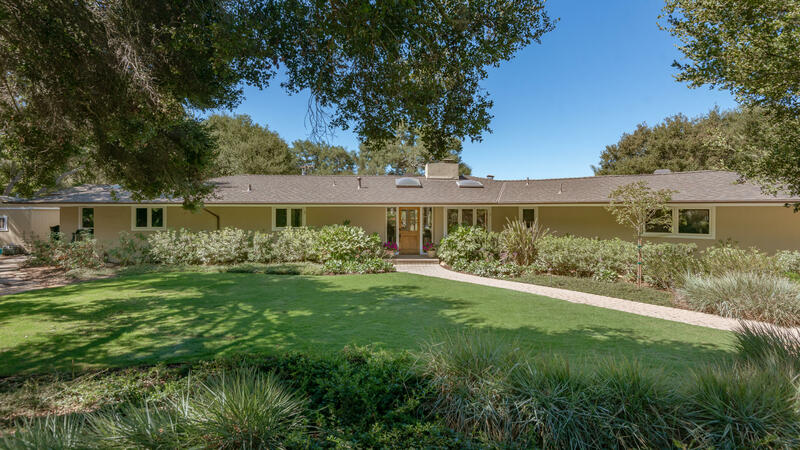 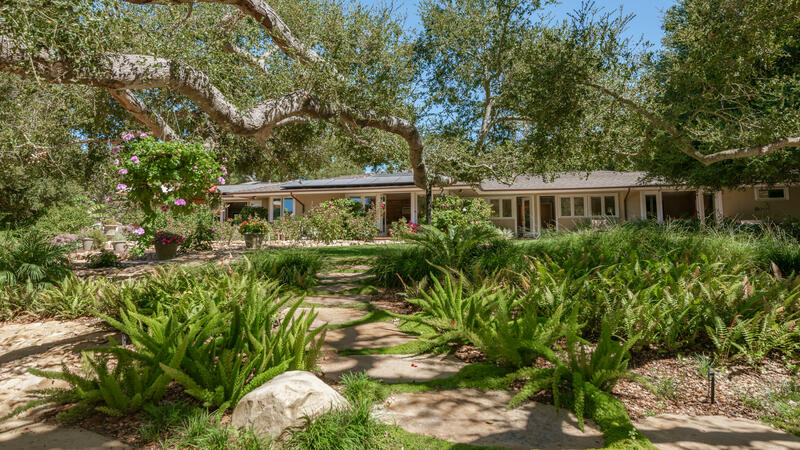 With a richness of character unique to Hope Ranch, this 3BD/3BA (+office) home of 3,360 sqft exhibits an aura of unassuming sophistication. 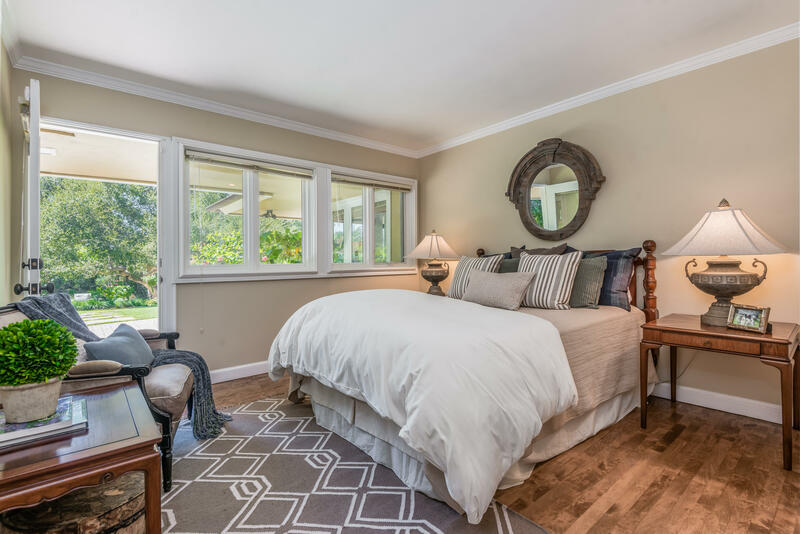 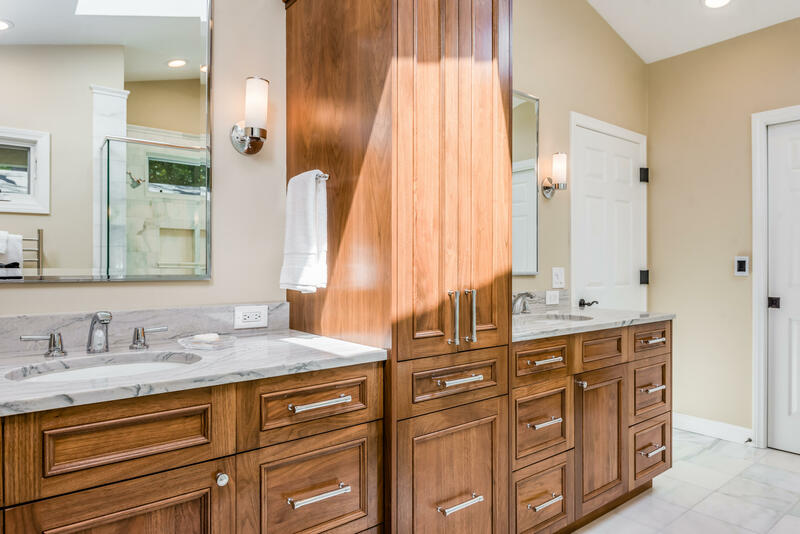 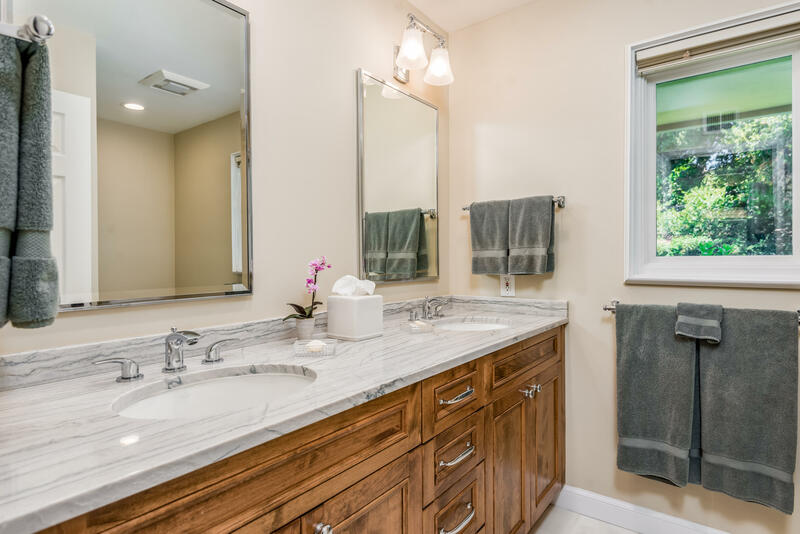 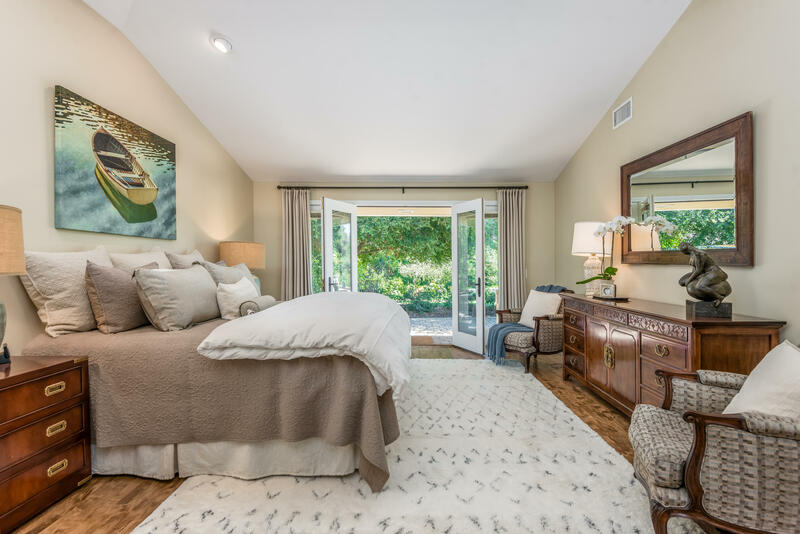 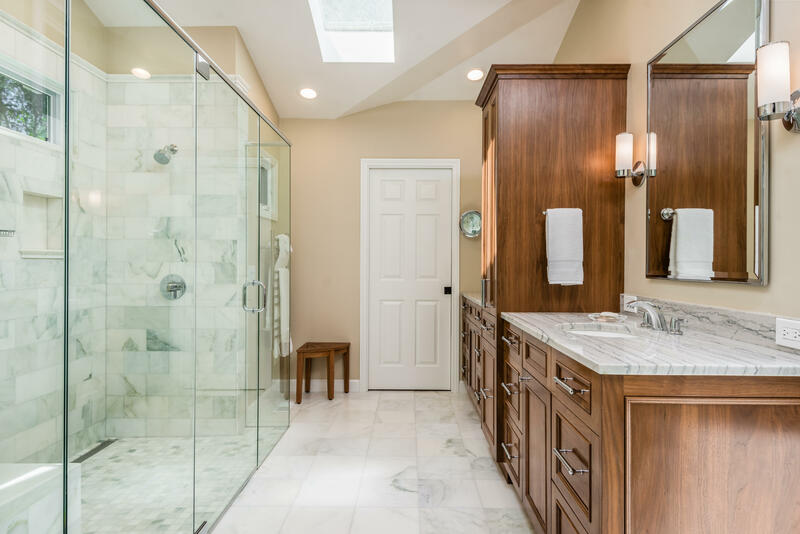 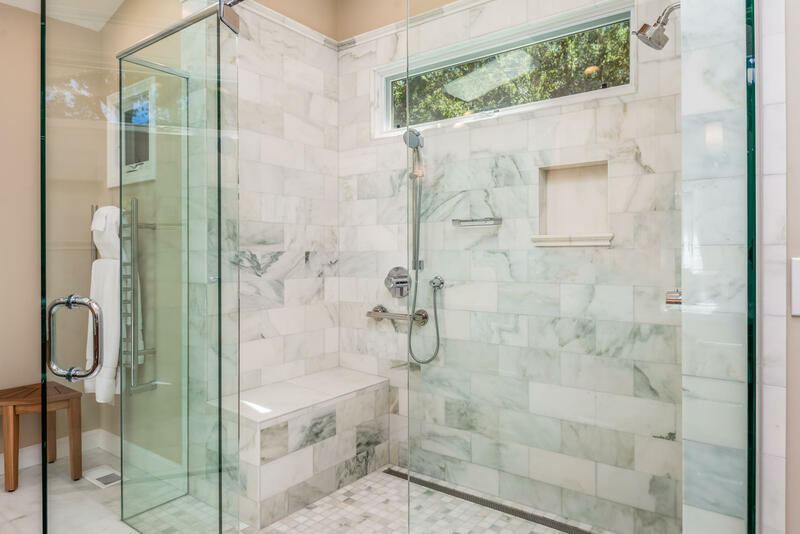 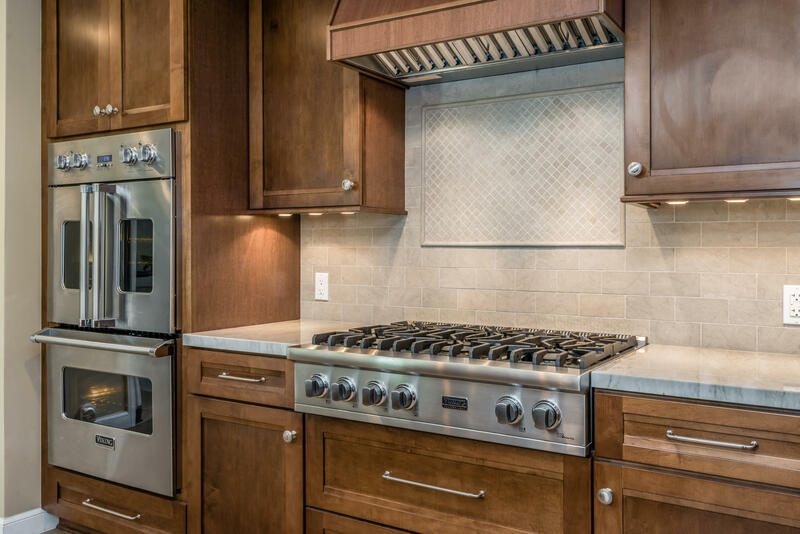 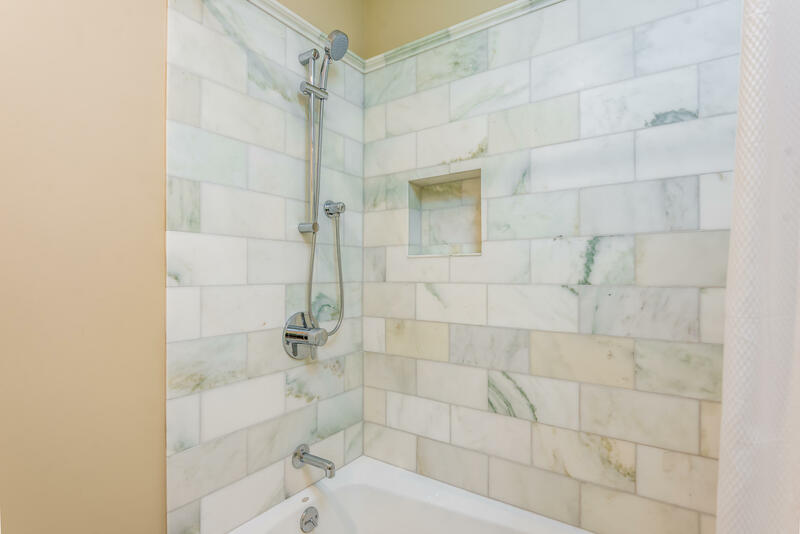 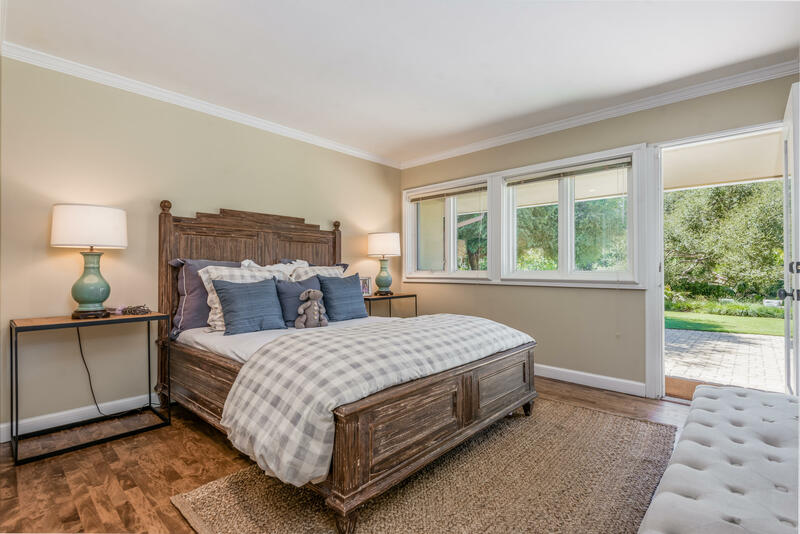 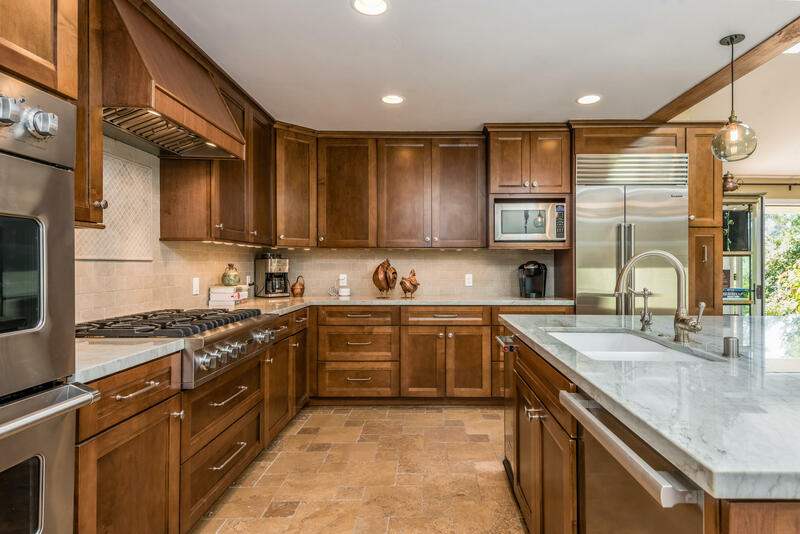 The cohesive interiors are marked by classic finishes of the highest quality: travertine, hardwood, & marble floors; maple, alder, & walnut cabinetry; quartz counters. 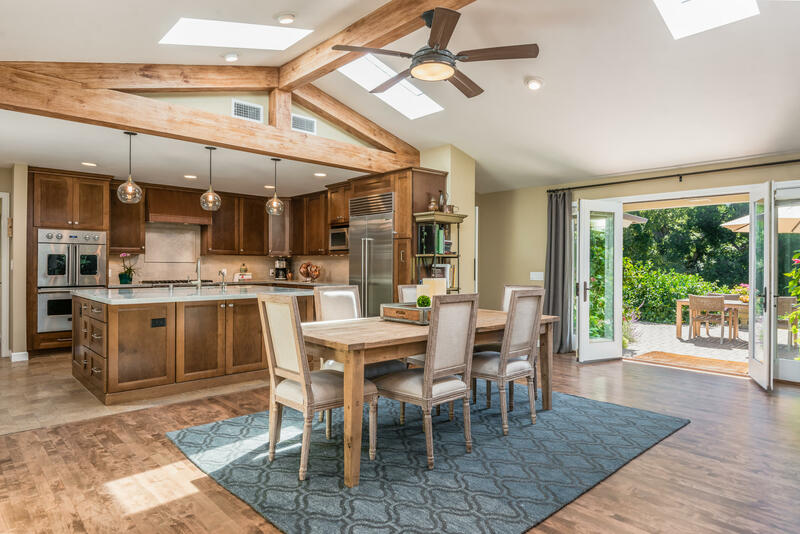 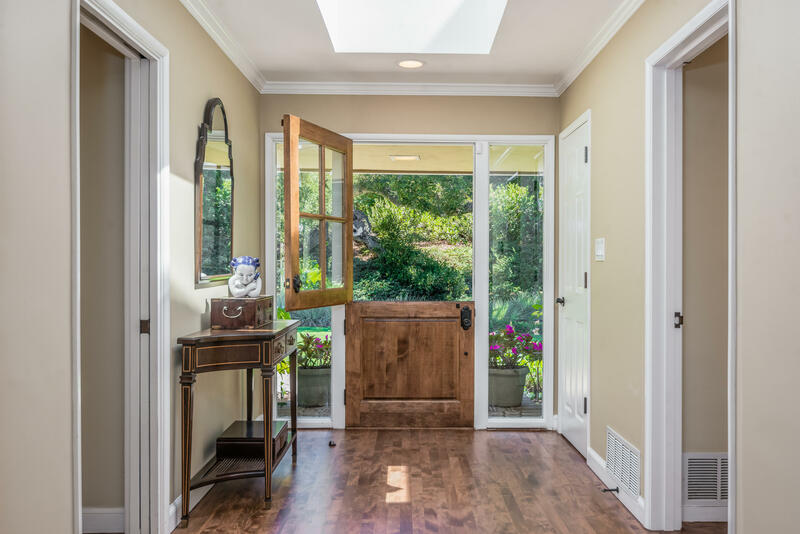 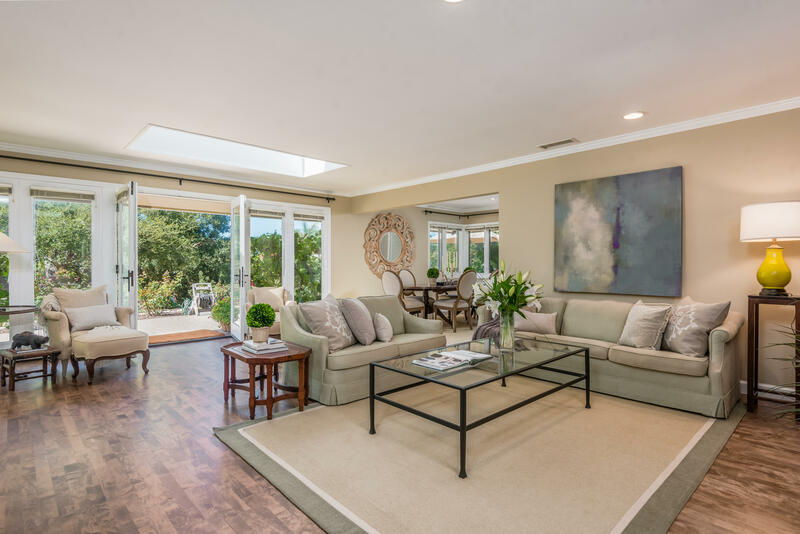 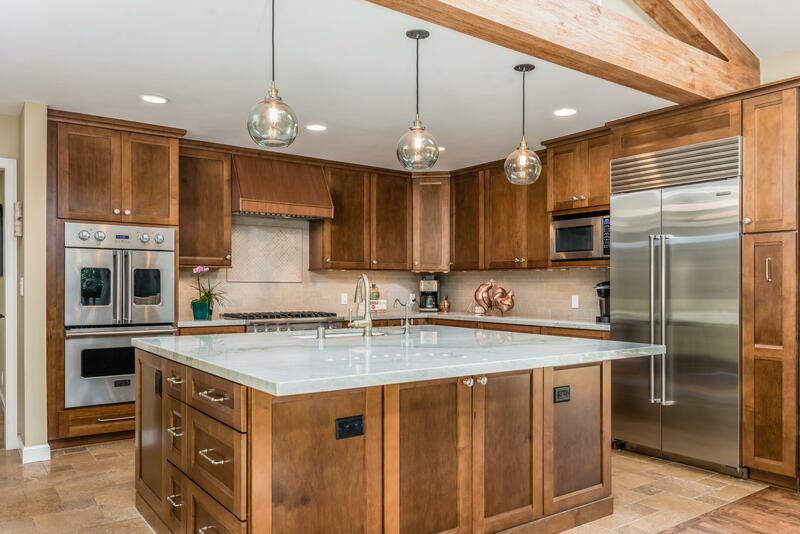 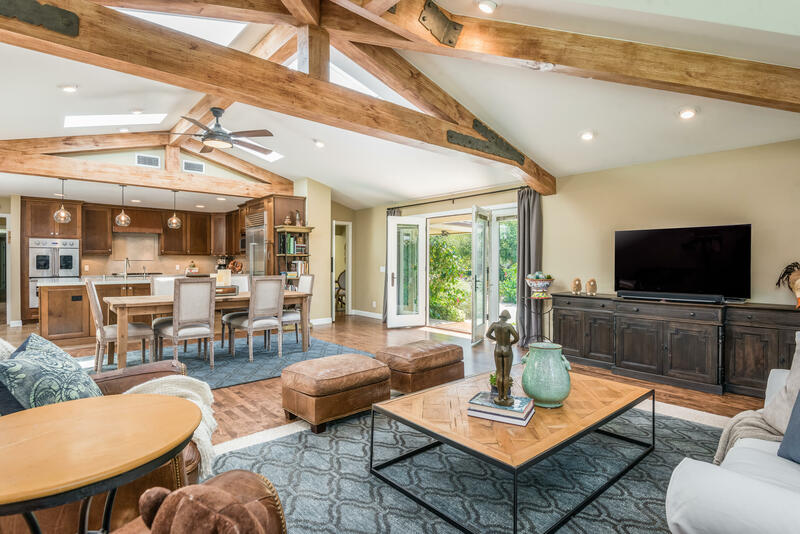 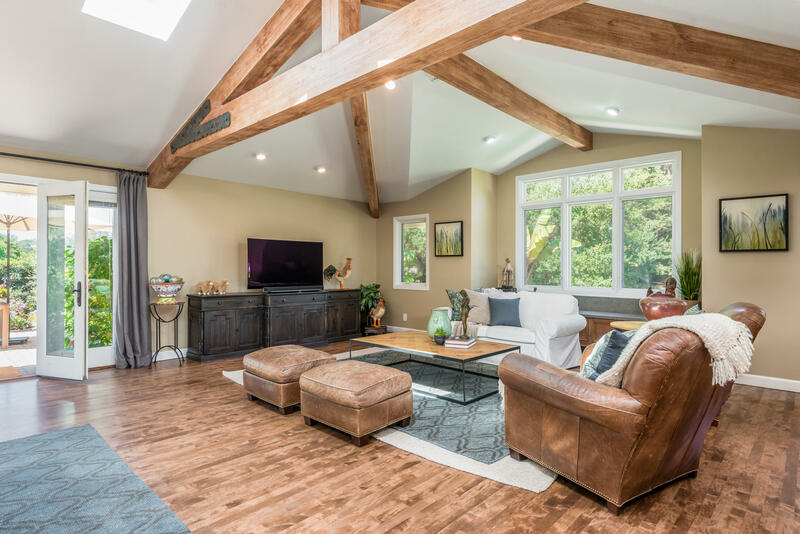 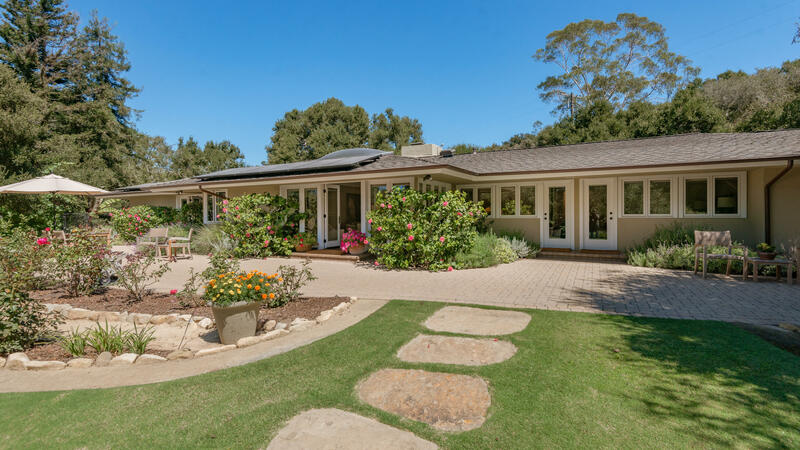 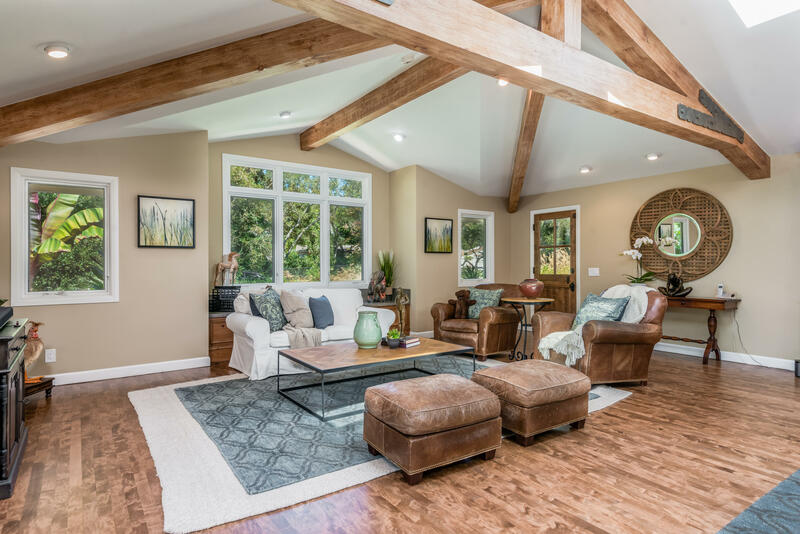 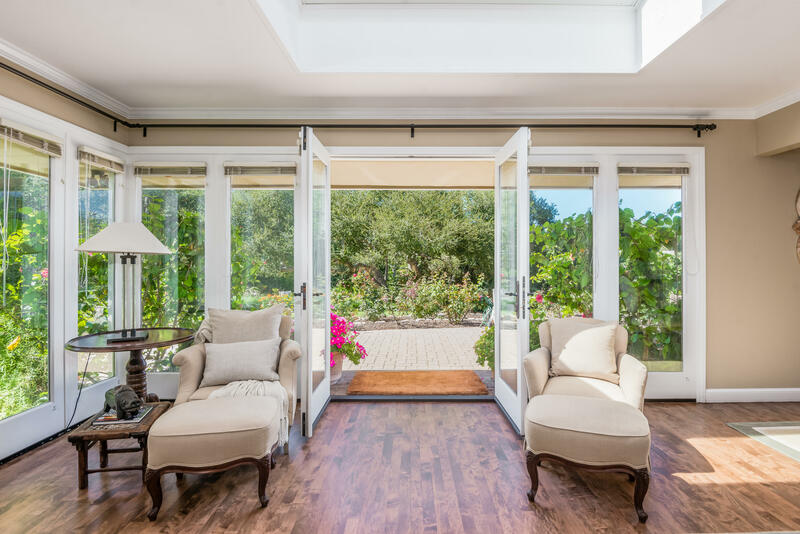 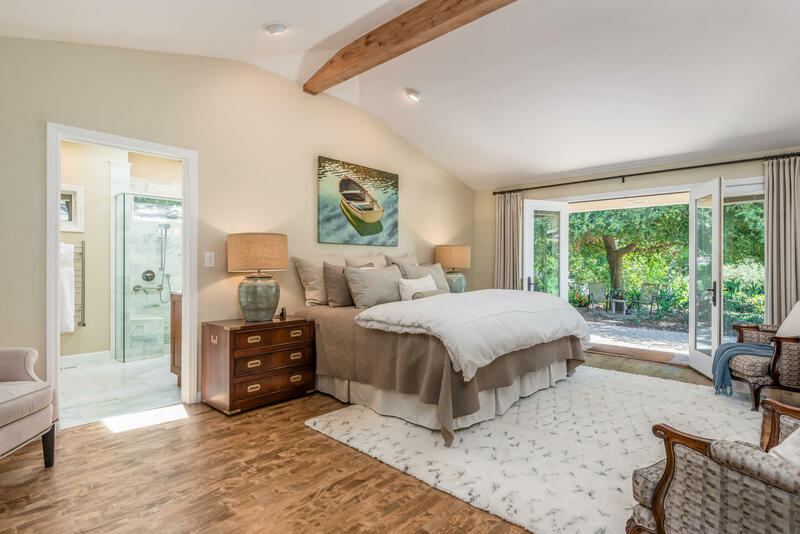 This single-level, solar-powered home boasts a great room with exposed-beam ceilings, skylights, and French doors; a remodeled chef's kitchen with high-end appliances; and formal dining and living rooms. 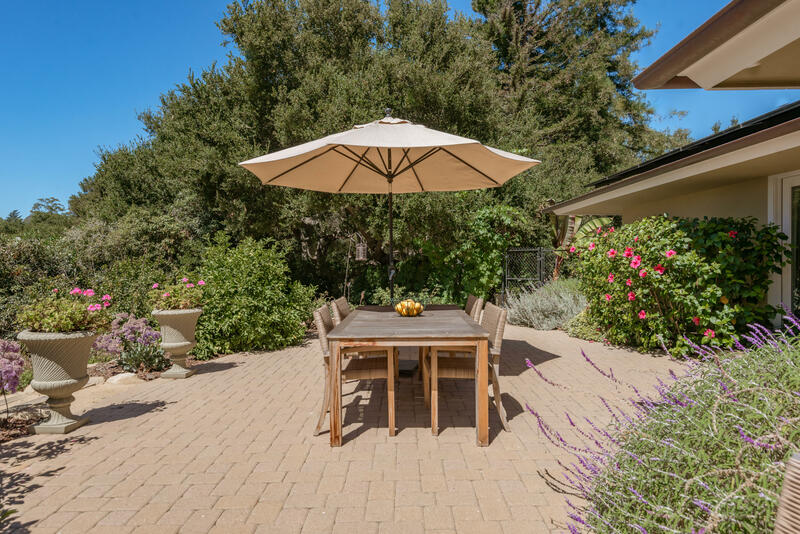 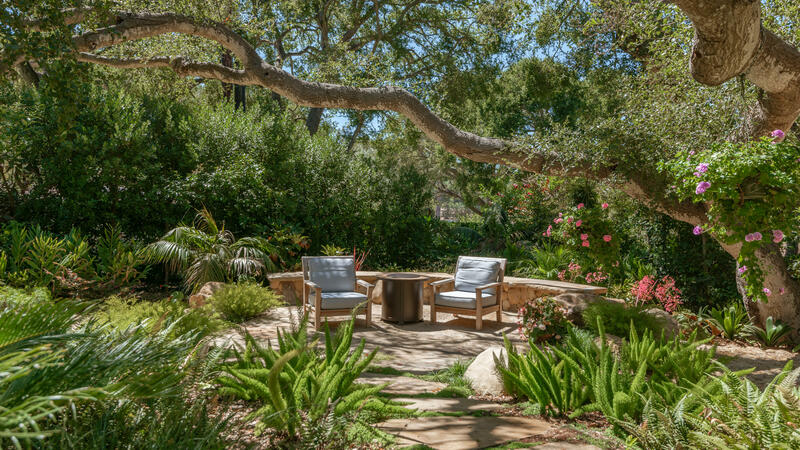 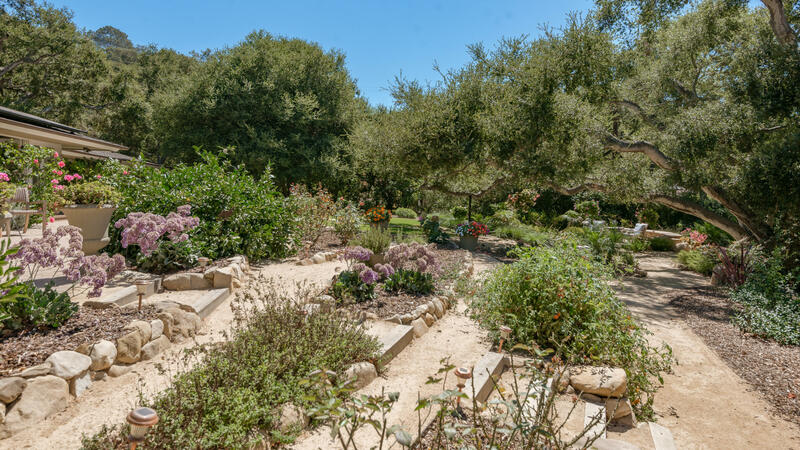 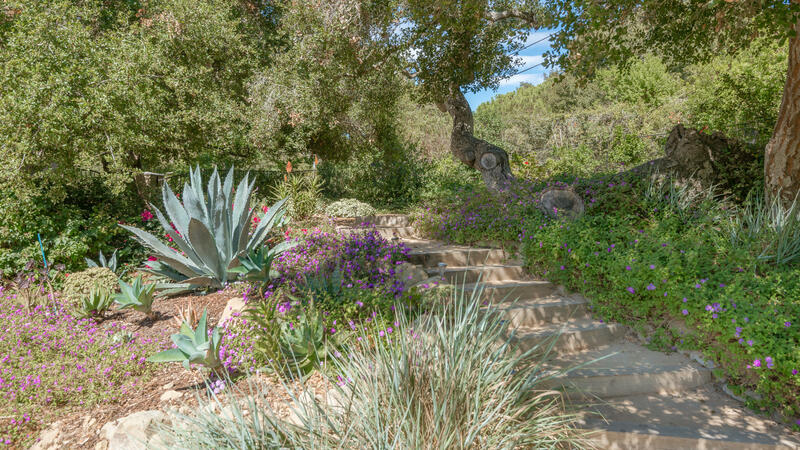 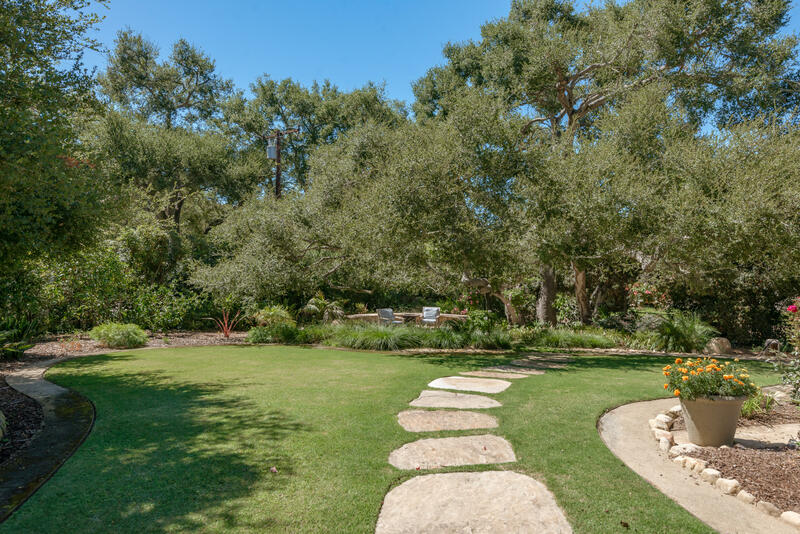 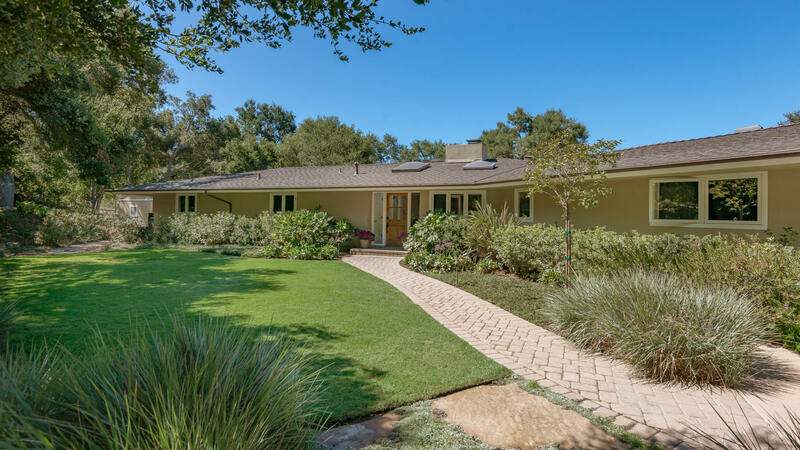 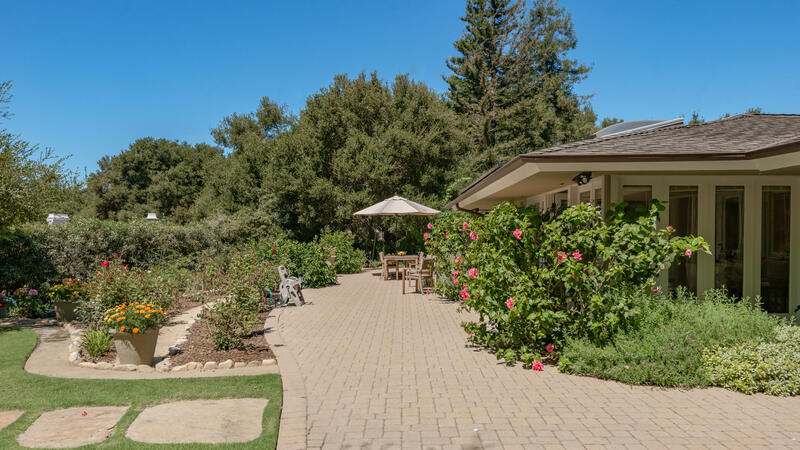 The terraced rear yard resembles a subtropical oasis with oak trees, citrus groves & rosebushes. 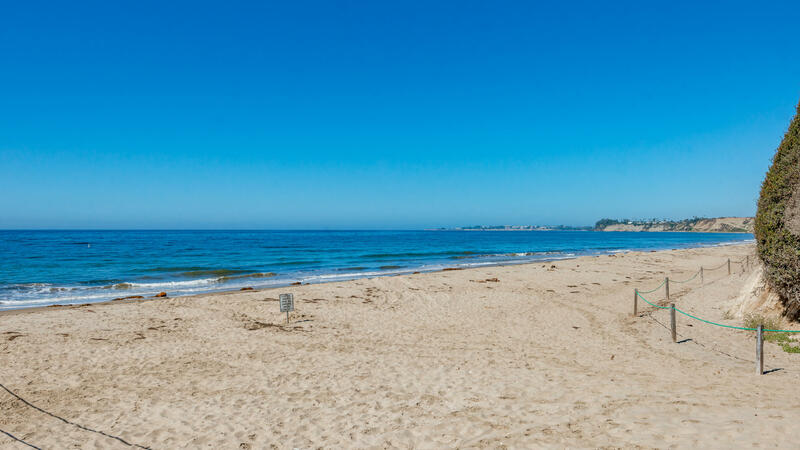 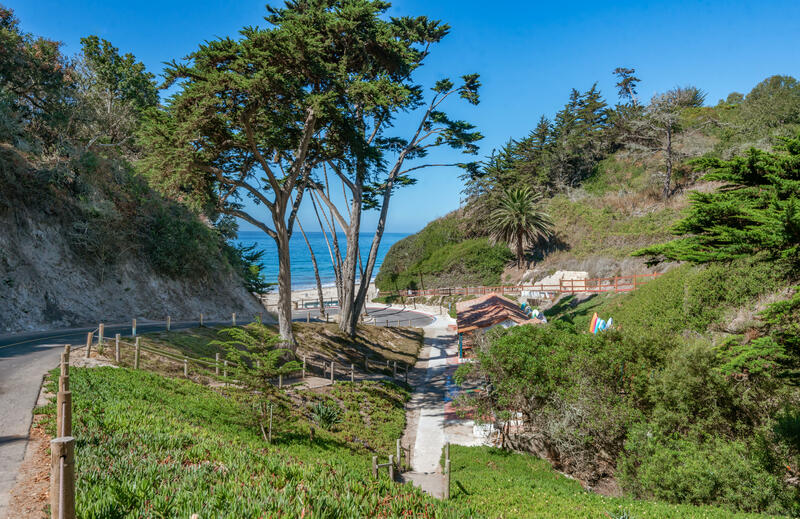 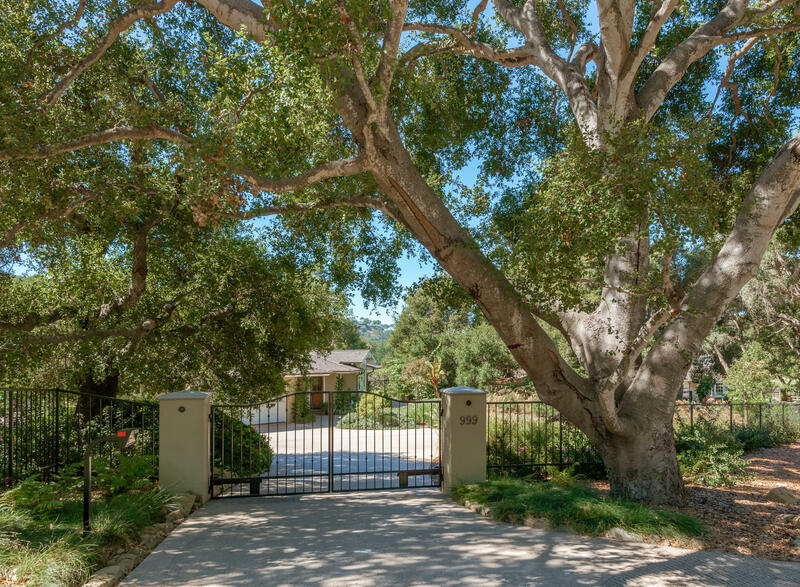 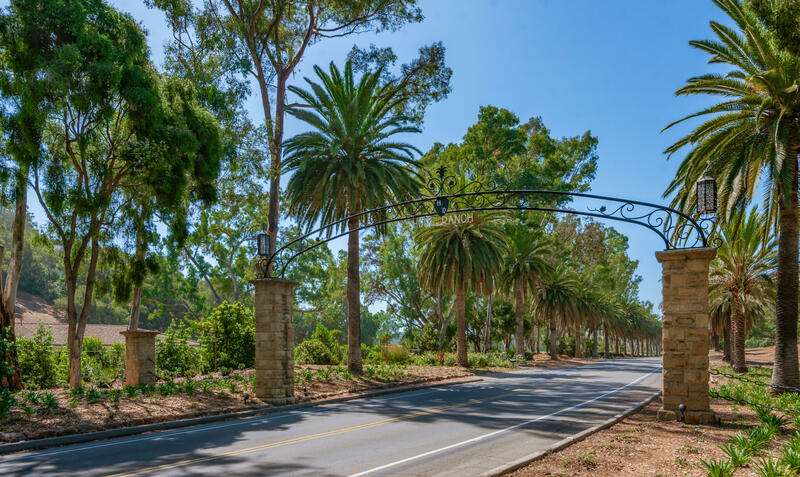 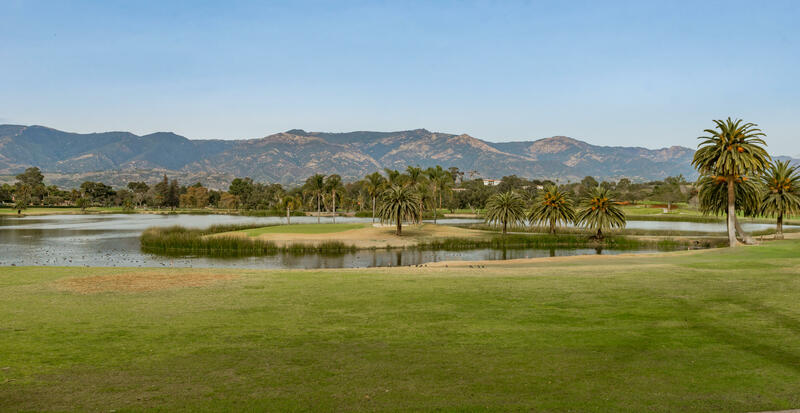 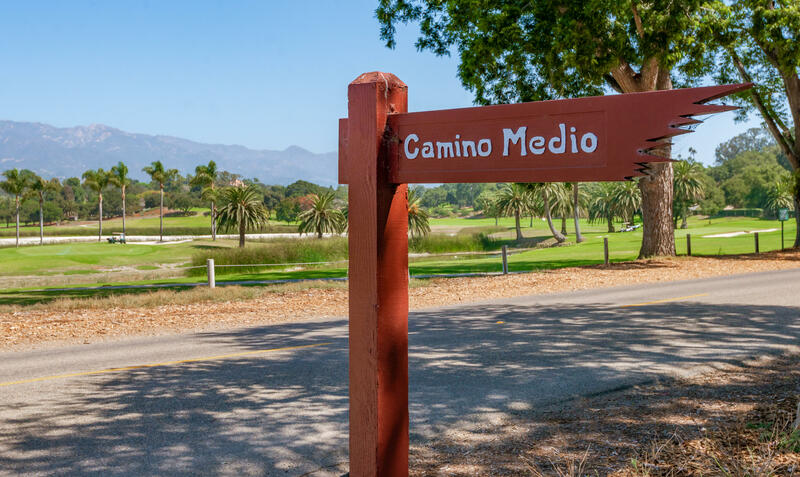 The fully-fenced, 1-acre property lies behind a gated private entry on a street with minimal traffic, conveniently located to schools, La Cumbre CC, HR private beach, and shopping.